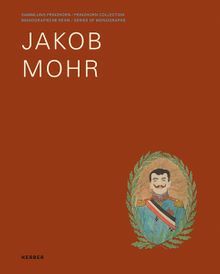 One of the best-known artists of the legendary Prinzhorn Collection, Jakob Mohr (1884–1940) spent six years as a psychiatric patient, believing himself influenced by electric waves. His drawings of these experiences and self-portraits portraying himself as a high-ranking figure, plus a selection of his texts, are published here. Hardcover, 6.75 x 8.25 in. / 112 pgs / 45 color / 7 bw.